Last week, more than 500 current and former Taco Bell employees filed a collective action lawsuit alleging that their franchise owner illegally failed to pay them overtime. The plaintiffs all worked for one of 75 Taco Bell establishments located in Michigan and claim that their employer capped their paychecks at 40 hours per week regardless of how many hours they worked in overtime. All of the parties are seeking unpaid wages, as well as damages and attorneys’ fees. 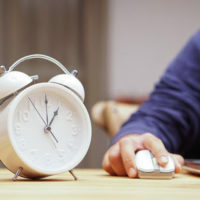 According to the official complaint, the plaintiffs were unfairly denied overtime wages by their employer, who “shifted” the hours that they worked in one week over to the following week if the employee exceeded 40 hours. As a result, employees were not paid one and a half times their normal wages for overtime hours as required by law. Some plaintiffs allege that they were simply never paid for the shifted hours, while others claim that they were told to clock out and then continue working after doing so. In many stores, managers were expected to work until 3:00 a.m., sleep at the store for three hours, and then start their opening shift at 6:00 a.m.
During an investigation into the company’s practices, it was also discovered that many of the stores actually had two work shift computers. The first was a front computer, on which workers clocked in and out, while the second computer was used by managers to edit employee time cards. Other employees have also come forward claiming that they were purposely given the title of manager or assistant manager, so that they were not eligible to collect overtime pay, even though they were given no managerial duties. The franchise owner has publicly denied these claims, stating that all employees were instructed to notify managers or the human resources department if they noticed any discrepancies between pay stubs and work hours. Originally filed by four employees in 2016, the complaint was recently updated to include plaintiffs who chose to participate in the lawsuit through a mail option. The deadline for opting into the lawsuit has since passed and depositions have started in the case, which will most likely head to trial in 2019. The plaintiffs are attempting to recover unpaid wages and restitution, as well as damages from the at-fault parties, and an order from the courts forcing the franchise company to cease its unlawful practices.